This buttress shows how external walls walls could be simply and efficiently reinforced – by building into the wall a column which took some of the pressure. Here it was not thought necessary to use flying buttresses as at Rosslyn Chapel and given that it is still standing one has to accept that the architect was correct! On top of the buttress is a pinnacle. 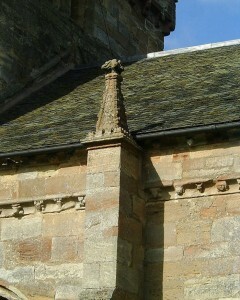 These decorative elements used in architecture to enhance and protect (by helping to shed water) of the buttress. It has been suggested that the pinnacles at Rosslyn Chapel were intended by the builders to represent minarets from which Muslims were called to prayer. 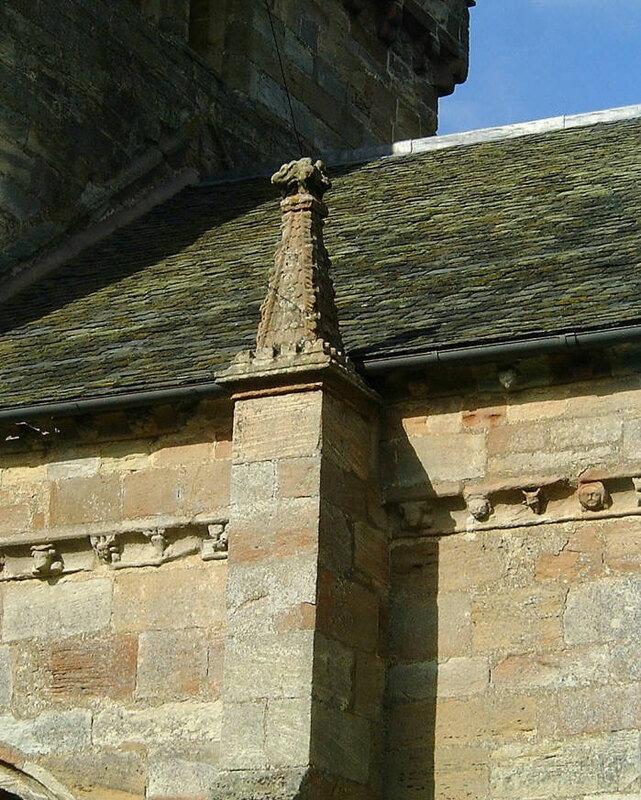 That suggestion has led to the claim that Knights Templar had transmitted knowledge of Islamic architectural practice into Scotland which can be seen in the pinnacles of Rosslyn Chapel. The fact that such pinnacles were a common architectural feature pre-dating the Knights Templar makes this suggestion simply ludicrous.